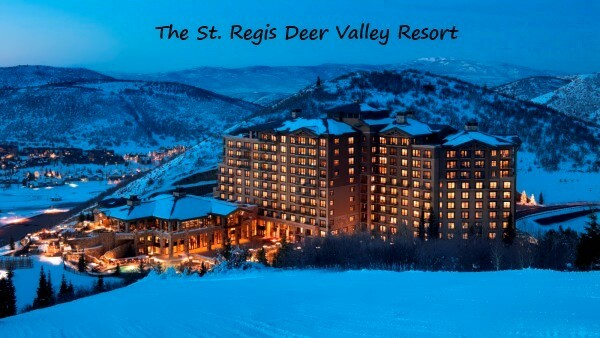 The St. Regis Deer Valley is ranked number six among the most expensive luxury ski hotels in the world and number one in the USA. St. Regis has ski-in/ski-out access with lodging options from slopeside guestrooms to suites as well as luxury residence rentals (2-4 bedrooms). Tip: Most guests advise to ask for a room on a high floor, with a slopeside or mountain view and balcony. Montage is located on top of Empire Pass at Deer Valley Resort with ski-in/ski-out access. Guestrooms, suites and private residences (1-4 bedrooms) are available for rent. Montage has received numerous awards including Conde Nast Traveler “World’s Hot New Hotels & Resorts”, Travel & Leisure Magazine’s IT List – World’s Hottest Resorts and Elite Traveler’s World’s Top Suites, just to name a few. Tip: Guests advise to ask for either mountain or valley view (your choice) when making a reservation instead of leaving it up to chance. Some, for example, said they did not like the view over the entrance and one even had a view of just the roof. So ask about the view when booking. 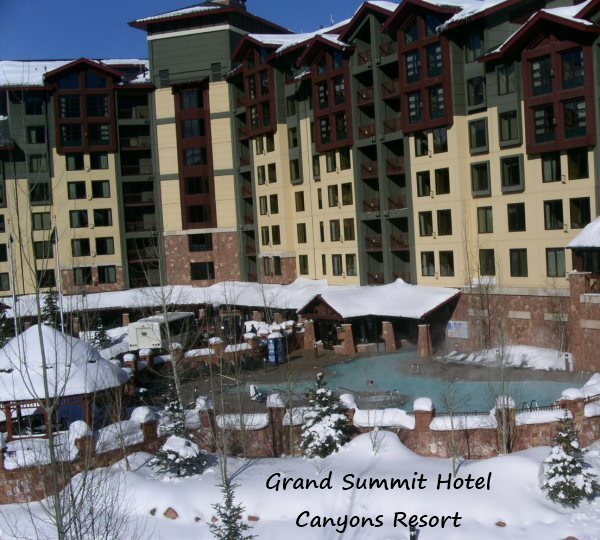 The Grand Summit Hotel is a AAA 4-Diamond resort located at the base of Canyons Resort with ski-in/ski-out access via gondola. Lodging options include hotel rooms, studios, 1-3 bedroom suites and luxury penthouses. Tip: If you are particular about views and noise, call and ask them to describe the rooms to you. This is a hotel condo where the units are individually owned and rented through the hotel. There are slopeside, poolside and valley view rooms and they each have their pros and cons, so ask as many questions to get they type of room and experience you want. The Waldorf Astoria is located at the base of Canyons Resort with ski-in/ski-out access via the Waldorf’s private gondola. Awards include Travel & Leisure Editors’ Choice Awards, It List: 45 Best New Hotels and and World’s Best Top Resorts in the Continental U.S. Ranked as One of World’s Best Hotels by Expedia Insiders’ Select List and Traveler’s Choice in The Best Hotels from TripAdvisor. Lodging options include guestrooms, studio guestrooms and 1-4 bedroom residences. Tip: 4th floor is the ground floor and pool level, 5th floor is lobby level (keep that in mind if you are below on 4th level). Make sure your room is not over the gym or you may be wakened early. 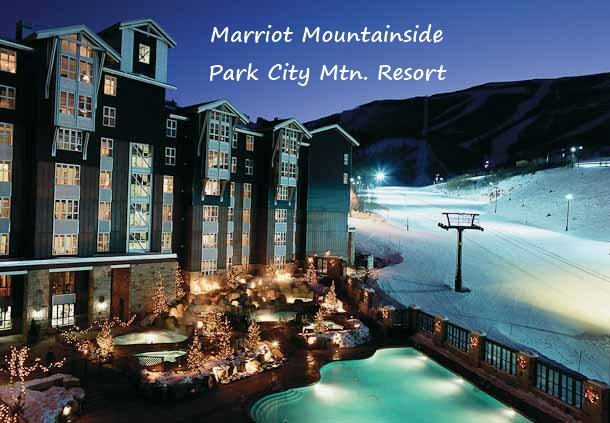 he Marriot Mountainside, with ski-in/ski-out access, is located at the base of the slopes with a 6-person, high-speed chairlift right outside its doors. Lodging options includes guestrooms and 1-2 bedroom villas. 2013 Tripadvisor Certificate of Excellence Winner. Tip: If you want a slopeside view, you may want to get a room on a higher level (above level 7) or the noise from the grooming and snow-making machines may bother you. Ask the front desk about noise level for poolside and slopeside rooms. The Sky Lodge is actually not located at the Park City Mtn Resort. It is downtown, right off Main Street, but only 1 block away from the “Town Lift” which takes you right onto the slopes. Very chìc and modern in design. Conde Nast Traveler Hot List: World’s Top New Hotels, Robb Report’s Best of the Best, Concierge World’s Best Apres Ski Scenes: Ultimate Suite. Lodging options include 2-bedroom suites, 1-3 bedroom residences and penthouse. Tip: Ask for a mountainside view towards Main Street, upper floors have the best view. Worth the extra to have a suite with a hot tub and balcony. Suites vary. Some have washing machines, some have pool tables, full kitchen, floor plans with different spacing between bedrooms, etc., so call the front desk ahead of time and ask for a room that meets your needs.